Russian Sage tolerates all the challenges of southwestern landscapes: high heat, cold, drought, and poor soils–and even resists browsing by rabbits and deer. 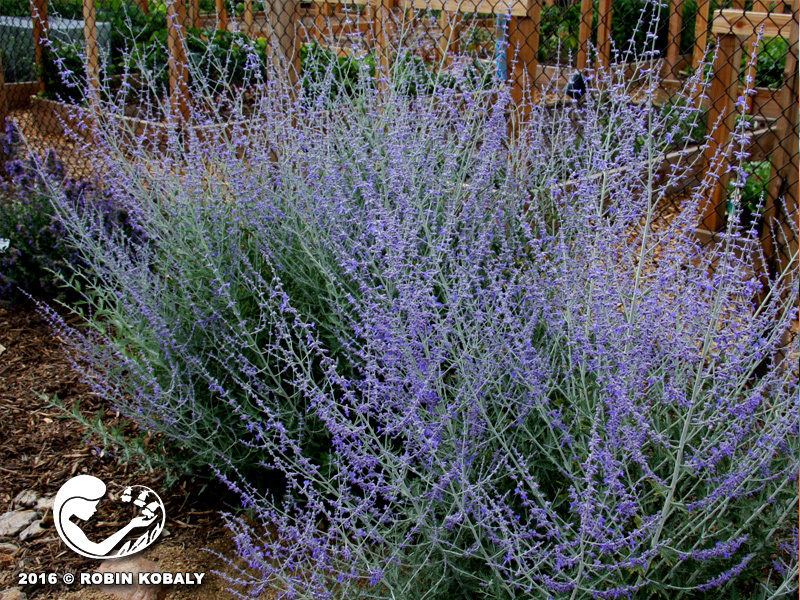 Russian Sage is a hardy, drought- tolerant, heat-loving perennial that is underused in southwest landscapes. Small but brilliant violet-blue flowers seem to float in an airy cloud above its foliage from summer until a hard frost. Neither Russian nor a sage, the gray-green leaves of this mint family plant are aromatic when crushed, which helps to repel rabbits and deer. 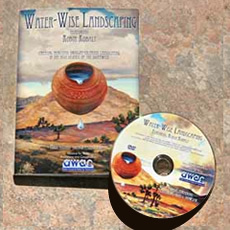 It tolerates almost any soil, from clay to sand, as well as salty and highly alkaline soils. This finely-textured plant blends perfectly with our southwest natives, working equally well in dry desert landscapes, cottage gardens, and Mediterranean gardens. Cut back plants almost to the ground in late winter to early spring as soon as new growth appears. This sturdy plant is great as a background planting, in singles or in clusters. It also performs nicely in linear rows as small divider hedges, or as a large-scale ground cover. Russian Sage beautifully compliments succulents, ornamental grasses, and other perennials.